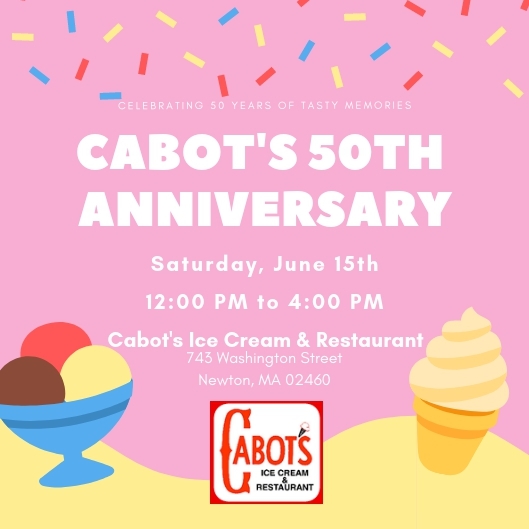 As we enter our 50th year at Cabot’s, we’d like to say ”Thank You” to our many patrons, friends, and employees from over the years in the community. In celebration, we are throwing an Old Fashioned Ice Cream Social, which will be open to the public and fun for all ages. We would love to see some past scoopers stop by. 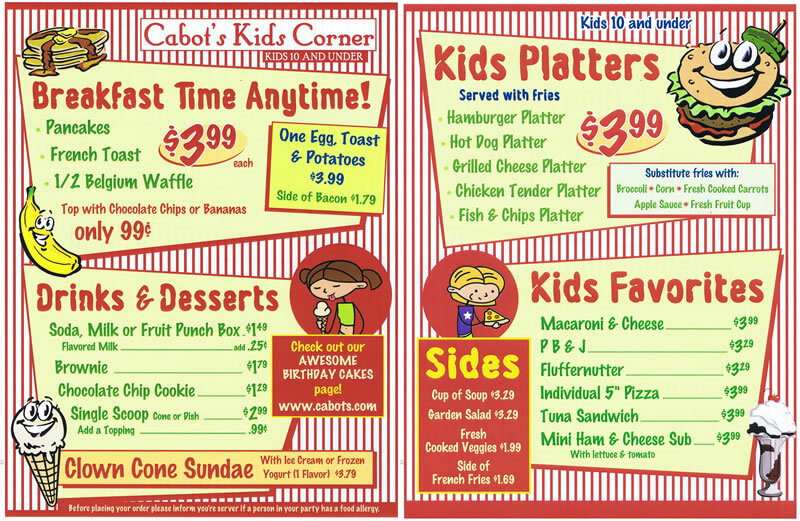 It will take place at Cabot’s rear parking lot in our special tent.. In keeping our commitment to the local community, we are proud to host three great organizations that we have had privilege of working with over the years. Newton Athletes Unlimited, John M Barry Boys & Girls Club of Newton, and The Second Step, each will staff here to answer any questions. They will also be holding individual raffle with 100% of proceeds going towards these nonprofits. Donations will be greatly appreciated for them. We’ve requested a block party permit from the city so that no traffic will go down Beach Street. In the event of inclement weather, there will be a 50x30 tent to cover the parking lot. We hope you can join us for a scoop or two!